للمسافرين الذين يرغبون أن يعيشو كل ما تقدمه روتوروا, New Castle Motor Lodge هو الخيار الأمثل. يسهل الوصول إلى هذا الفندق ذو 4 نجوم من المطار، فهو يبعد عنه مسافة 8.7 km فقط. كما يمكن الوصول بسهولة إلى ‪Whakarewarewa: The Living Maori Village‬, تي واكاريواروا, ‪Statue of Jean Batten ( Jean Batten Square )‬. كما يقدم New Castle Motor Lodge الكثير من الخدمات لإغناء رحلتك في روتوروا. هذه بعض الخدمات الموجودة في هذا الفندق: واي فاي مجاني في جميع الغرف, متجر, خدمات بريدية, خدمة سيارات الأجرة, مجهز لذوي الإحتياجات الخاصة. يمكن للنزلاء الاختيار من ضمن مجموعة من الغرف المصممة بعناية لتعكس جواً من الراحة، والتي يتجاوز عددها 16. كما أن مجموعة الخدمات الواسعة الموجودة في الفندق لضمان راحتك تترك لك الكثير من الخيارات لقضاء وقتك أثناء فترة إقامتك. إن كنت تتطلع إلى إقامة مريحة وهادئة في روتوروا، فستجد في New Castle Motor Lodge بيتك الثاني. good location and free wifi without any limit! A lot of motel in New Zealand did say to provide FREE WIFI but it gave a lot of restriction: size and no. of device connected whereas New Castle motor lodge did not and it helped me a lot to do my work while I was on Holiday. Only stayed one night, the room was clean, comfortable and very quiet. Staff were friendly, let us check in early as we had a family funeral. Basic self catering lodge. Clean & very spacious. Reasonably priced. Cons: Although booking from agoda says pay at premise (free cancellation 2 weeks before check-in), has been charged day of booking by the premise on same day as booking. Plus notes: Very clean and cared for. Close to Mauri cultural center. Great bakery (Ciabatta) nearby. Luggage storage. Very friendly. Not so ideal: would NOT take American Express - in spite of website note saying they would. No AC - in fairness, none advertised, fans helped. Free wifi almost impossible to access. We stay for one night, the room is clean and comfort. We have used the the stove to cook our meal, and it is easy and saving. The staff is helpful, even though we are late for checking in, he did call up and arrange for our staying without any trouble . We are happy to get New Castle Motor Lodge. Clean. Spacious. Off main road, but very close to centre of town. Did my washing for $10 and found it on the bed when I got in. (Freezer doesn't work so don't buy icecream - doesn't work in any of those small fridges.) Lovely hot shower. Block out curtains - Dark for sleeping. The location was good. 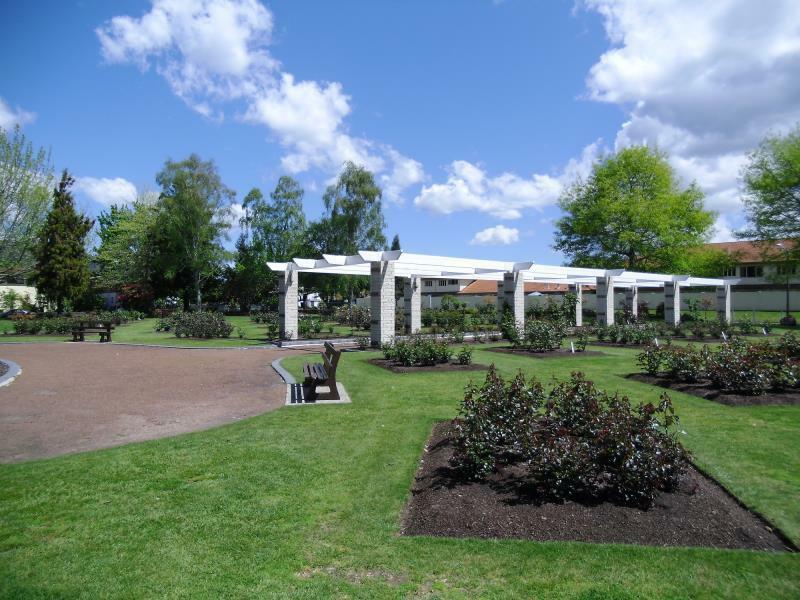 It's near to Rotorua town center, shops and petrol station. The motel was clean, comfortable and quiet. The owners were very helpful and friendly. We stayed here for 3 nights. 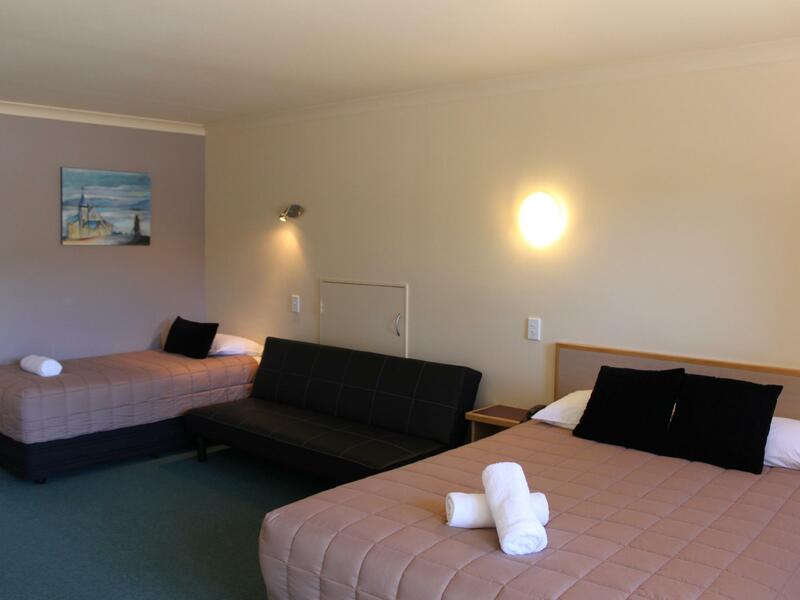 The motel is very conveniently located to places of interests around Rotorua. There are shops, eateries and petrol stations nearby. There is also a beautiful park just in front of the motel. We rented bicycles from the motel to cycle around the area. The owners are a lovely and friendly couple. We had a great stay here and we wouldn't mind coming back to stay again. Large room, Clean, Good location. The room was perfect and staff helpful but hired a bike that the gears auto changed and the crank fell off. Had laundry done that came back as one lump of tied together clothing. Recommend staying but don't hire the bikes or get you laundry done. We were checking in very late in the evening when the reception was closed hours before. Yet, the motel keeper was very nice and patience to help us to check even waking up by us in the late evening. Appreciated that! really enjoyed the stay here. very nice large and very clean room. Location is good as long as you have a car. you could walk to the shops if you were willing to walk for about 20 minutes? something to consider in wet cold winter and if you are travelling with someone less fit. Hospitable staff. thanks! Clean and comfort facilities. It equips with cooking and refrigerator. The suite is large too. The place is cozy. We loved the place. Stayed here for a few nights. Didn't spend much time in the room as was exploring the city. Room was very large and reasonably clean. Bed not the most comfy but ok. Didn't have breakfast here so can't comment. Free parking and wifi available also. The family unit we had smelt damp and of stale cooking odours. The room was poorly lit and needed a good clean. Didn't use the spa bath as it had a grease ring around it. I opened the fridge in the morning for milk and cockroaches ran out from a hole in the fridge door seal. What a turn off. I mentioned it to the staff when we were leaving and their reply was "they probably came from outside". Fortunately we were only there for one night. Their advertising photo on Agoda is not a picture of the motel but a park across the road. Won't stay there again. 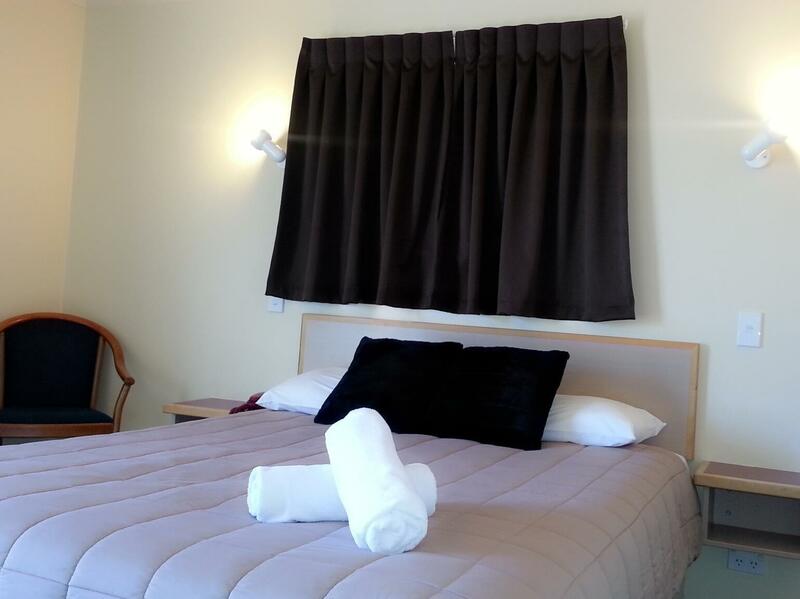 We were only here one night on our way through from taupo to auckland. 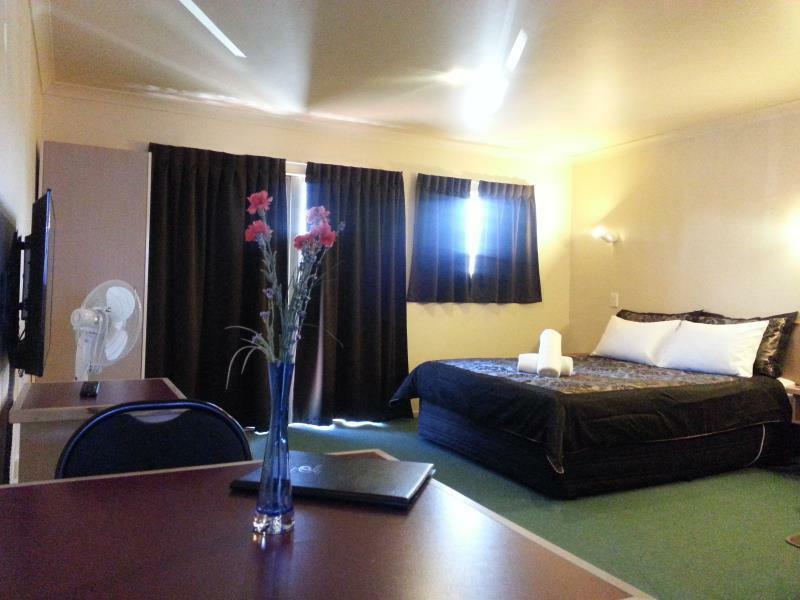 We didnt have high expectations for the price we paid, but were presently surprised to find a clean well maintained motel with very friendly and helpful staff. We were upgraded to a ground floor spa suite which was enormous, and featured a full kitchenette which would of been handy if we were there longer. We were picked up and dropped off here by bus from the Mitai Maori Village. It was an awesome experience and I'd recommend it to anyone staying in Rotorua and wanting a full cultural experience. The place is reasonably priced and pretty well maintained. Wifi signal is strong and location is decent but not closed to the center of town, but then Rotorua is not a big city, so it's not a big issue.